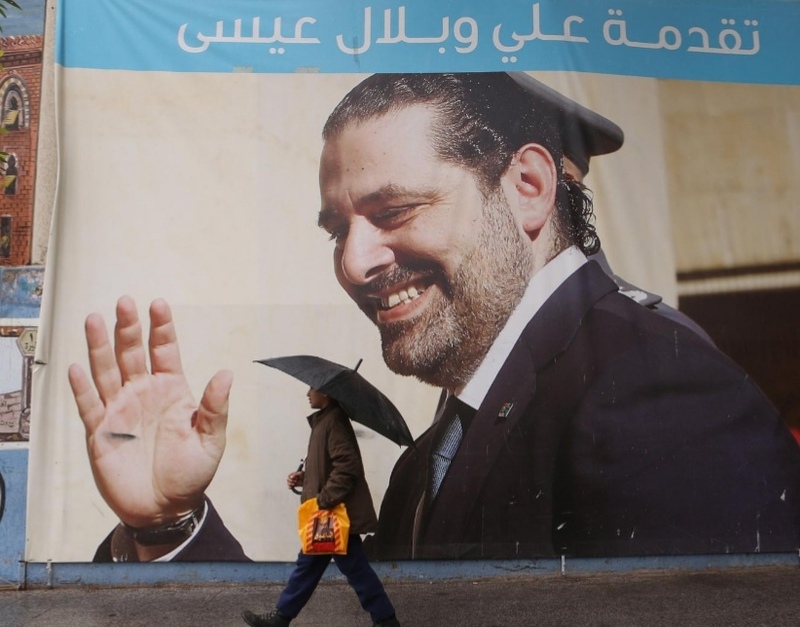 A man holding an umbrella walks past a banner of Lebanese Prime Minister Saad al-Hariri in Beirut, Lebanon February 1, 2019. BEIRUT – Hezbollah’s bigger role in Lebanon’s new unity government points to a growing appetite to shape state affairs and builds on unprecedented military clout the group is wielding after helping turn the tide in Syria’s war. Hezbollah’s expanding power in Lebanon reflects a deepening of Iranian influence in an arc of territory from Tehran through Baghdad and Damascus that its foes Saudi Arabia and Israel have struggled to counter. Deemed a terrorist organization by the United States, Iran-backed Hezbollah has assumed control of three ministries in the government led by the Western-backed Prime Minister Saad al-Hariri, the largest number of portfolios it has ever held.